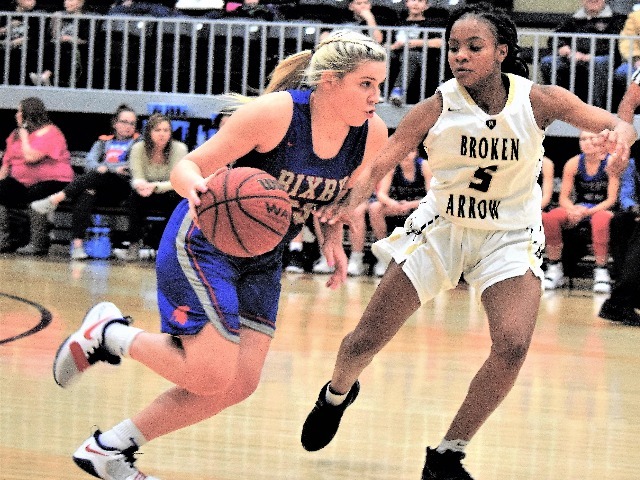 After moving to Bixby from Kellyville as an eighth grader, Lady Spartan senior guard Dariann Myles worked to improve her basketball skills while facing adversity. Being a competitive person helped Myles, the daughter of Liz Myles, adapt to a coaching change while also battling through injuries. She faced the challenges head-on, just like she approaches practices and games. “I came to Bixby from a 3A school and it was a big transformation for me. The competition there was nothing like it is in 6A. That’s why we moved here, so I could get better competition to prepare me for college. It’s been a great move,” said Myles, who averages 10.1 points per game this season – second best on the team – while leading BHS in assists (3.4 average), steals (37) and deflections (33). 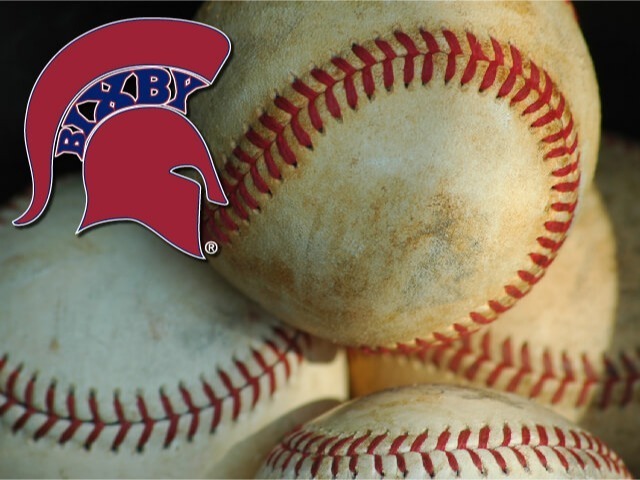 Myles steadily improved throughout her time with the Lady Spartans, being a key contributor on Bixby’s state qualifying team last year. This season, she’s playing a pivotal role for the improving Lady Spartans, 12-7 entering this week. “She’s been here all four years and been a real team player. She can shoot the pill … she’s worked really hard at shooting the ball,” Coach Thomas said of Myles. “She also loves handing out assists and she loves winning. Myles’ journey was interrupted prior to her sophomore season after a knee injury that required surgery. She missed the regular season but returned to play a few minutes in the playoffs. “My sophomore year I tore my ACL in the summer during a team camp at ORU (Oral Roberts University) during the summer,” said Myles, who canned four three-pointers and led BHS with 16 points in a home win over Muskogee in its last outing. “They called it the trifecta because I tore my meniscus, ACL and PCL. I had surgery and came back at the end of the season in the playoffs. We lost but it was fun to get back on the court. “Last year I had some lesions in my knee from scar tissue and had it removed. I came back in about two weeks. This year, I had a high ankle sprain early in the season. I just had to play through all the injuries because I don’t like to sit out … I love the game too much,” she added. While earning a reputation as a quality shooter, Myles works hard to improve her overall game. She’s worked to become a more complete player. “I’ve concentrated on working on my ball handling, my shooting and my defense … defense is the most important thing,” said Myles. “I work on my game very day. If I’m not working in the gym I’m in a gym somewhere watching a game. I just want to get better because I hate to lose. I can’t even play card games because if I lose I get so mad. Myles’ improvement hasn’t gone unnoticed. She was contacted by several colleges before signing with Northeastern Oklahoma A&M Junior College. 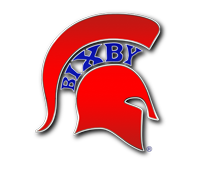 When Bixby faced a slump a few weeks ago, the Lady Spartans had a players-only meeting to talk over things. Myles, who averages 35 percent on three-point attempts, believes the meeting was beneficial. “The last few games we’ve played better but about midway through we had about three games where we weren’t playing our game. We went to Stepping Stone and had a team meeting. It was nice to sit there and talk about things we needed to work on, to not get down on ourselves and to build each other up. “We wanted to get everyone on the same page,” Myles said.